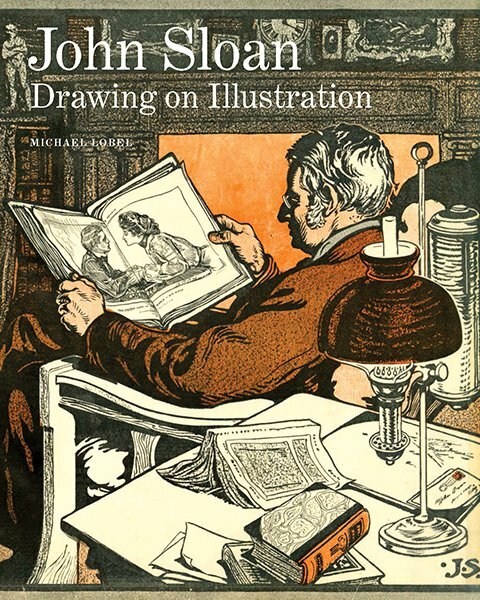 The American realist artist John Sloan (1871–1951) is best known for his portrayals of daily life in early 20th-century New York and as a member of The Eight and the Ashcan School, alongside peers like Robert Henri, Everett Shinn, and George Luks. Sloan’s artistic approach was shaped by his experience as a commercial illustrator, a type of work that inaugurated his professional career—at newspapers like the Philadelphia Press and later for mass-market magazines—and which he pursued even after he turned his focus to painting. In John Sloan: Drawing on Illustration, Michael Lobel explores the impact of Sloan’s illustrating on his wider output, including his paintings, his drawings for the radical journal The Masses, and his response to the watershed 1913 Armory Show. Illuminating the interaction between art and popular culture, this book provides an important new framework for understanding the modern genre of illustration, and in so doing touches on major 20th-century currents, including the rise and expansion of the mass media and the visual legacy of European modernism.